I have written a series of articles about different prompts to use for creativity. I provide the idea for the prompt, with some examples, and you and your kids or students get to respond any way you choose. NB: You can now scroll down to see the updated list embedded below. In many articles, I include my own response to the prompt. Not because I think my response will be of merit - I've quit fooling myself about that! I want to share my response because I figure we're all, kids and adults, in this creativity thing together. Whether your creativity takes the form of writing, finger painting, cake decorating, knitting, photography, building or blogging - the creating is paramount, not the product. I hope that by sharing my efforts, you and your kids might be inspired to have a go yourselves. 5. 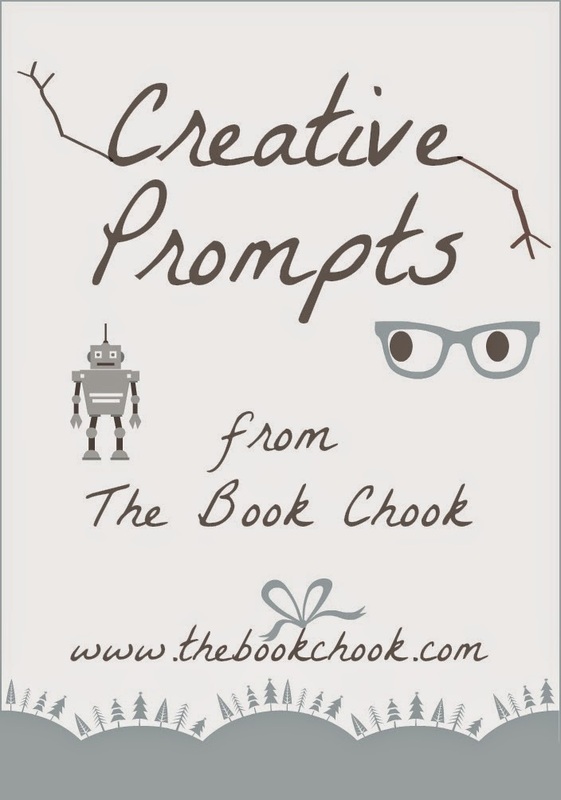 Creative Prompt - Start with What If? Thinking Creatively, Develop Imagination Through Literature-based Play, Create a Story Box, Recycle and Read, What's the Deal with Online Publishing? And don't miss this guest post with wonderful writing tips for kids from author, Sandy Fussell, titled Becoming a Story Detective! You might also care to click on the Creating button top right for more ideas to involve kids in creative activities. I love this! Knowing your Chookish humor, these will be laugh out loud funny. Will you have a warning about potentially spitting coffee into the keyboard? I used to love coming up with prompts for my Booklights posts ... which got overtaken by Bookworm Basics! Hi Terry! Funny would be great, but I don't think all the prompts will spark that. I would so love it if you have time to join in! sounds great! i think my kids we will have a go with it! Jdowling, it is lovely to get your feedback, and also lovely to know who is reading my blog! Those Story Stones in Cath's article in Literacy Lava 6 are a wonderful idea, so I hope you find some beauties. If you play with the prompt next Friday, be sure to let me know! Wonderful, Saara - I'm looking forward to seeing what you and the kids come up with! The cherubs and I are in! Will do - working with 20 lovely five year olds so send some creative prompts my way!!! P.S - Pebble hunt postponed due to wet weather, may have to relax at home instead! I don't know how faithful I'll be at remembering... but I'll love the juices they'll motivate! That's excellent, Amy! I am so delighted people are keen, but I know the reality of daily life pressures and time constraints. This is mostly to get myself thinking creatively, and give myself the gift of some time for play and creative expression. If it can do the same for others, that's icing on my cake! I would be thrilled if you had time to join us, Kelly! Yay! I am trying to include prompts that can be adapted to toddlers, or adapted to all ages really. I would be so pleased to see or read about what the cherubs create! You inspired one of the prompts to come, jdowling. See if you can work out which one! Great Rebecca, that's exactly what I hoped. Now to come up with prompts that can adapt to both chook and chookens! I've been enjoying this series of prompts, and just thought I'd log in to say so. So many different, creative ideas using very concrete, inspirational resources. Keep it up! Thanks so much Keith! I really value your feedback. I've been having a break from Friday prompts, but will continue them sporadically in 2011. I really want to encourage adults and kids to involve themselves in whatever creativity they prefer, and I think prompts can work well for this.